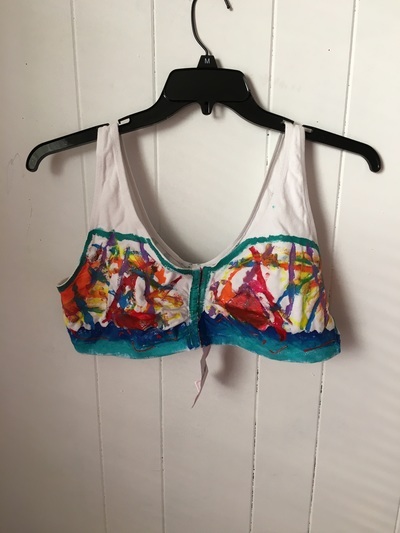 Congratulation to Carrie Gissiner who submitted the winning Design "Butterfly Effect"
The St. Mary’s County Arts Council invited artists to submit a decorated piece of “Bra Art” to the 4th Annual “Uplifting Designs Contest“ to Support Breast Cancer Awareness month. The bras were displayed in Leonardtown during “Pink Friday” October 7th. Guests voted with their donation for their favorite design. All proceeds from the event will be donated to the First Friday cause to support breast cancer awareness.